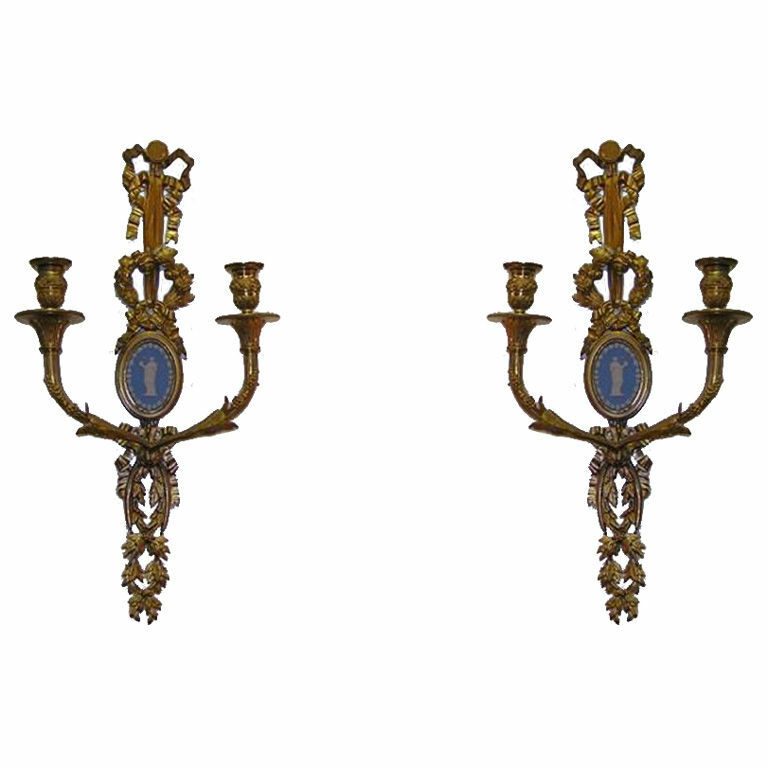 Pair of French gilt bronze two arm sconces with oval jasperware figure of lady & man and ribbon & floral motif. Still candle powered. Never been electrified but can if needed.